With the coming of the holidays, many of us are starting to feel self conscious about our bodies. While many of us start the year with fantastic goals, we usually lose track and forget about our weight loss or healthy living journey. How can it be November and we are still struggling with our weight? 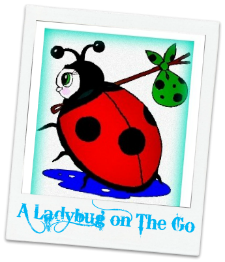 Sometimes waiting until the New Year to make that change is almost a guaranteed fail! People psych themselves up so much for these resolutions that they normally fizzle out before the end of the January. 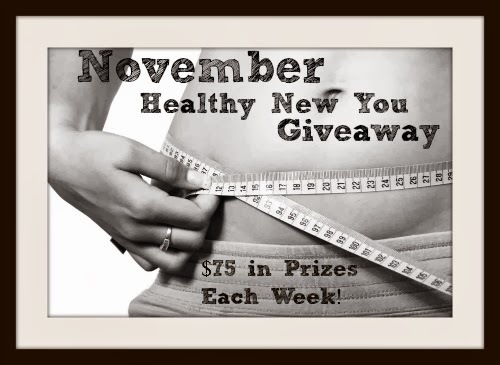 To help jump start our new healthy lifestyle, Pure Health & Genesis Today decided to work together with Budget Earth to create the November Healthy New You Giveaway. Each week, they are making a prize pack of their products, with each pack having a value of at least $75. Each of these products are designed to help women live a healthier life without breaking our wallets. This supplement contains Garcinia extract with 60% hydroxycitric acid (HCA), a natural compound believed to support healthy weight management from naturally harvested fruit. * It also has added black pepper extract to support the absorption of HCA in the body. * We blend the Garcinia extract into a special formulation free of fillers, binders and excipients and carefully package it into vegetarian capsules for better absorption. This supplement is standardized with over 45% Chlorogenic acids (CGA’s) to support healthy weight management. Unroasted, green coffee beans also offer a boost of natural energy without the bitter taste of coffee. You will get a 90 count bottle of pure green coffee bean extract packaged in vegetarian capsules. Caralluma Fimbriata isn’t nicknamed the “famine food” for nothing! The Caralluma Fimbriata cactus grows wild across much of India. Traditionally it has been used to support appetite suppression. Keep Caralluma Fimbriata on hand for those “I have to have food right now” moments. ! Our Caralluma Fimbriata contains a “10-1” extract formula. In other words, it takes a whopping ten pounds of this cactus to make 1 pound of Caralluma Fimbriata extract. We intend to deliver the most absorbable healthy appetite suppression possible. This product effortlessly bridges the gap between weight management support and yummy taste! We’ve taken well-loved green tea and added green coffee beans to support your weight management goals. It’s a naturally earthy, spicy, tea with a gentle, warm and delicious flavor. Raspberry Ketones naturally occur in a variety of fruits including raspberries, cranberries and blackberries, and is the compound that gives them their incredible scent. It is a perfect fit for a healthy lifestyle. 1 Reader will receive a prize pack of weight management products from Genesis Today & Pure Health. Giveaway ends November 19th at 11:59pm. Disclosure: Budget Earth did not receive compensation for this giveaway. Facebook, Twitter, & Pinterest are in no way associated with this giveaway. Prize fulfillment and shipping will be handled by sponsor. I am definitely interested in this weight loss and betterment. I need the help. I would love to lose pounds and be healthier.